I bought this about 2 months ago and didn’t use it until recently. Iv always liked full coverage so never tried a BB cream. I love this product so much. I got the shade light which gives a nice colour but I don’t think it would suit extra pale skin. It gives a nice glow and a little bit of coverage. I found this best to use if I had a bad breakout and didn’t want heavy makeup. If you read my blog you would of seen my post on NYX Eye Shadows and this was one of them. Im in love with it. It is so pigmented and looks gorgeous when applied. I love mac makeup and have used previous powders but then I heard about this one and thought id give it a try. It can be used on its own or as a powder on top of foundation. I love using this on top of foundation it gives me a flawless look and helps reduce shine. I also used this on top of the Seventeen BB Balm to give me extra coverage. I used to use this foundation all the time and then kind of forgot about it until I saw it again in boots. I decided to try it again and I love it. If I want a medium coverage that is light on my skin its perfect. It has a dewy finish which I don’t like but I always apply powder anyway. This Essie polish is one of my all time favourites. I apply 2 coats and it looks stunning. It is quite thick which helps. Such a gorgeous shade. It looks so glossy even though its not from the Gelly Range. It’s a deep purple shade which is perfect for this time of year. Iv recently ordered a few of these type of bras, they are perfect for lazy days. Obviously they are not for massive support or shape etc as it is just lace with no wires or shaping to them. They are so comfy and look really pretty. This one I got in a set of 2 from H&M online. The other one I got is a coral colour. Sizing i was unsure with as some places do the noraml 10,12,14 sizes and others are S,M & L. Im a 34D normally so i ordered a 14 from H&M and it fits perfect. I also ordered some from ASOS and got a Medium which also fit perfect. How pretty is this? Iv been wanting a collar clip chain for a while now and not found ones I like. I actually saw this on Ebay and fell in love. You can choose from silver, gold or dark metal silver. I went with silver and it looks gorgeous on any dress or shirt with a collar. Postage was free and I received the item within 3 working days. The barry m nail varnish is a gorgeous colour! The Barry M shade is stunning! I also have those H&M little bra's, so cute! Barry M have such a wide range! All there shades are gorgeous and with the festive season, perfect for a party! 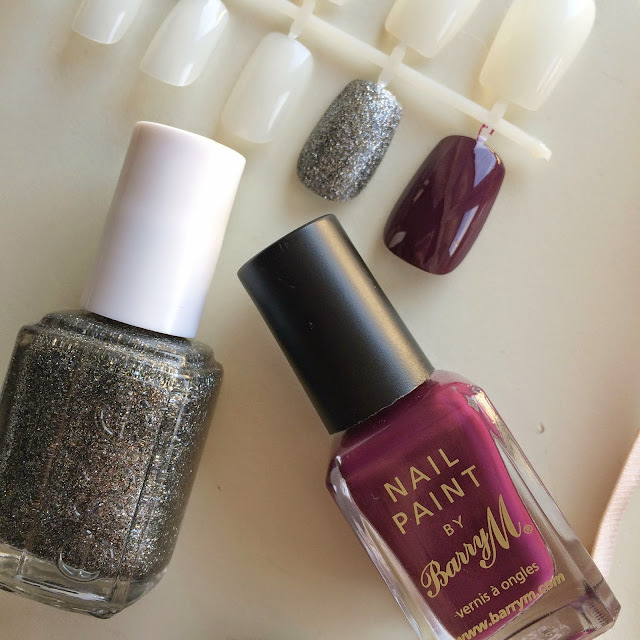 I've been hearing alot about Barry M nail polishes, how long do they last? Great favorites post! 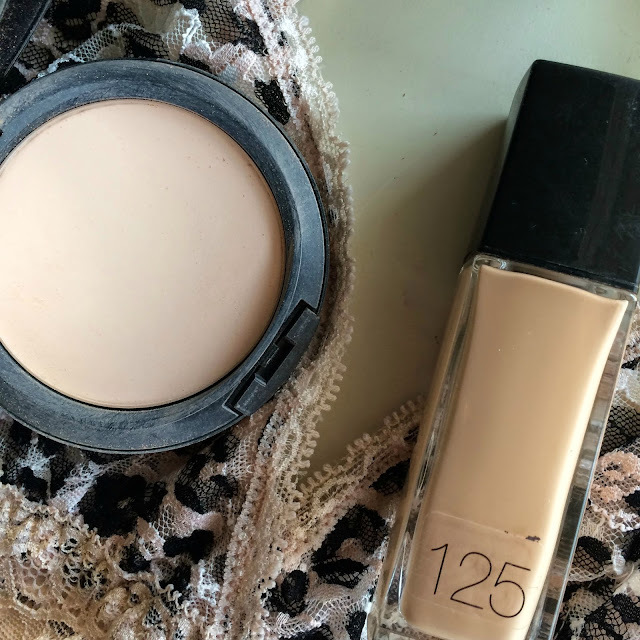 I tried the Maybelline Fit ME foundation and loved the feel of it, but hated the color match on my skin. I'm very pale and matched in between 110 and 115, but the foundations are too pink-based for it to look natural on my skin. Bummer! !